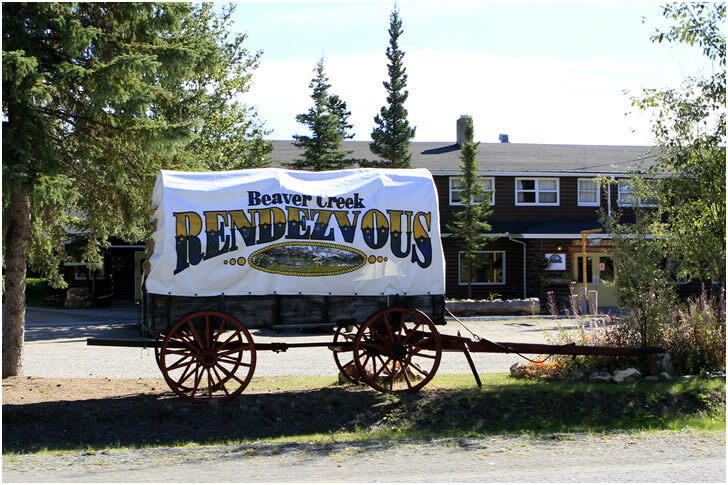 Guide to Beaver Creek Yukon, Alaska Highway, Yukon RV Parks, Alaska Highway Campgrounds, Beaver Creek Lodging, Restaurants and Tours. In this section on Driving the Alaska Highway we will look at the crossing the border from the Yukon Territory into Alaska. Beaver Creek Yukon is located at milepost 1168 of the Alaska Highway on the border between Alaska and the Yukon Territory. The town is a major stop for tourist and with the motorcoach tours heading to of from Alaska. Be sure to visit the Beaver Creek Visitors Information Center located in the center of town just across the street from the Westmark Inn. Bringing Agricultural Products and Pets to the United States from Canada in a PDF document that we suggest you print and carry along to help answer any questions you may have before you arrive at the border. 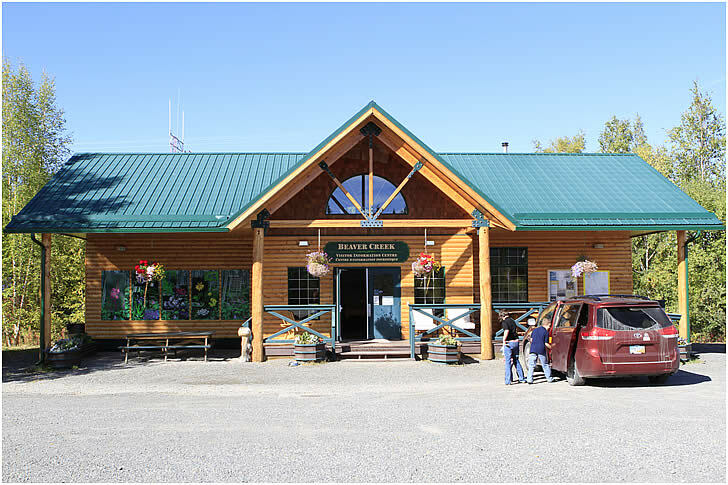 Also see Discovery Yukon RV park and campground located between Beaver Creek and Haines Junction. Discovery Yukon Lodgings is the Oasis of lush green grass, wildflowers and the winding Alaskan Highway. 49 RV spaces (including 30 pull-through's) with 20 and 30 amp power and spring fresh water on level hard gravel sites or choose to experience living in one of the reclaimed log cabins with front porches, 3/4 baths and comfy beds too. There are even wall tents for rent on Yurt like wooden foundations... very similar to what the servicemen slept in while constructing the Alaska Highway. See more at Alaska Highway Cabins and Tents. The Unofficial Guide to the Best RV and Boondocking along the Alaska Highway plus Fishing the Alaska Highway.